There’s no doubt that Tesseract have had an interesting couple of years since the release of their debut “One”. Met with huge success in the metal underground and conflicted with the difficulty of finding and keeping a vocalist, they have pushed through, solidifying their place as a Progressive Metal juggernaut. Now with a steady line-up found in the inclusion of new vocalist, Ashe O’hara, they are back in the studio recording their second full-length record. It has officially received the title “Altered State” and supporting artwork has been released. They also released a new single entitled “Nocturne” a bit back, showcasing their new vocalists ability. He actually sounds similar to Daniel Tompkins, the original vocalist, which is always a plus. If the single is any indication of things to come, “Altered State” should be a real treat when it comes out. Stay tuned for more Tesseract news! The album will officially be released May 27th in Europe and the following day in America via Century Media. Some new artwork has been unveiled in support of this announcement. However, there’s no official word as to which piece will be used as the official album cover at this point. The band dropped a brand new trailer for “Altered State” featuring new music! It’s sounding amazing. Give it a look / listen down below. Pre-orders have also been made available. Grab yours right here! Tesseract has released the second trailer for “Altered State”! Most bands just release music videos. 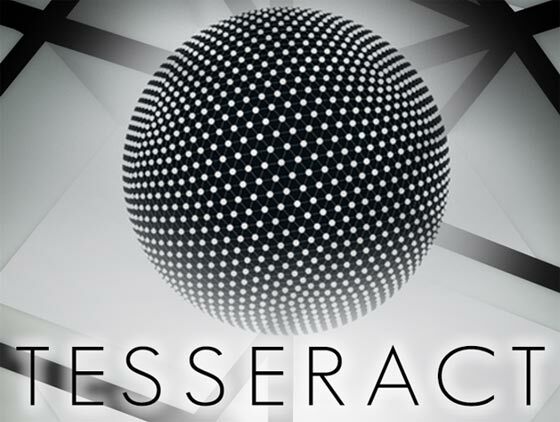 Tesseract is gonna release an album video… HELL YES. It will be 51 minutes worth of animation and greatness to match the aural bliss of the upcoming record “Altered State”. The band announced this massive add-on to their already ambitious project with the two statements below. Yet ANOTHER trailer for Tesseract’s “Altered State” has arrived. There is certainly no shortage of previewing for the new album, but this particular trailer provides a welcome and unexpected twist with the inclusion of a saxophone solo… DAT SAX! While not being the first metal / progressive band to do this in recent history, it sounds so damn good! Go ahead and get a taste for yourself below.